Thank you for your interest in Hot ATL Party Bus. We have all of your party bus Atlanta limo needs. We are proud to say that you our customer is our #1 priority in comfort, safety, and fun experiences in the Atlanta and surrounding areas. 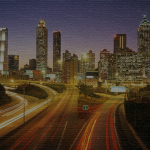 Do you have questions about your next event and booking a party bus Atlanta limo? The cost of a party bus rental is not as costly as you would think. As we are sure by now you have had a chance to view our site. Can’t imagine that you would have any doubt that Hot ATL party Bus is the party bus Atlanta limo service to call. Simply call us or fill out the form below and someone will provide you with speedy quote. Don’t wait…join the fun now! Please leave us a message below and someone will get back to you as soon as possible. Or give us a call at 404.543.2052.